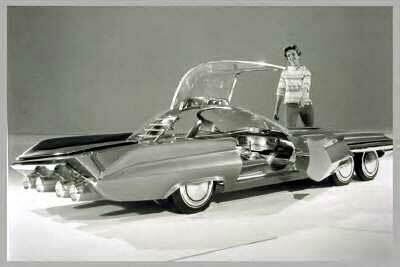 The 1962 Ford Seattle-ite XXI concept car. Although not a Galaxie, but looking very much like it could travel between galaxies, the Ford Seattle-ite XXI is included in the Registry for historical and informational purposes. This information is from a Ford Motor Company Styling Office brochure. "Advanced stylists are not restricted in their "dreaming" to designs based on existing facilities or scientific achievements. Unlimited freedom to speculate is the key to progressive automobile styling. A styling experiment like Seattle-ite XXI, with its many forward-looking features, could lead to exciting new concepts of automobile styling, comfort and safety." "This unique styling dream car envisions four steerable front wheels and easily interchangeable power units. Seattle-ite XXI conceived in Ford Motor Company's Advance Styling Studio, would feature such advanced concepts as a travel programming computer, variable density glass and finger-tip steering. Such a vehicle might be powered by fuel cells or a compact nuclear device." "The entire front of the car would break away from the passenger compartment in order to permit conversion from an economical power capsule of perhaps 60 h.p., to a high-speed, transcontinental unit in excess of 400 h.p. The controls would conducted through a flexible coupling that would simply plug into the passenger compartment. The front wheels would turn in tandem." "Inside the passenger compartment a computerized viewing screen would show engine performance characteristics, road and weather conditions, position of the vehicle in relation to an automatically rolling road map, and estimated time of arrival at any selected designation." These were futuristic concepts in 1962 and now today's cars have such screens, outside temperature readouts, engine performance data etc. Fuel cells are currently being produced and tested. And the "compact nuclear device"?? ?.....It wasn't too far fetched in 1962. The Ford Nuclear Reactor, a small Triga Research Reactor at the University of Michigan ran from September 18 1957 until it was shutdown for decommissioning as recent as July 3, 2003. It was not tested for use in automobiles, but never-the-less, The Ford Motor Company was directly involved in nuclear reactor research. The Reactor's control console sported a Ford blue oval emblem. The Galaxie sedan moves into the camping scene with the Car Cabin, made by the firm of that name at 140 Sierra Court, Upland, California. It is probably the only sedan camper having a balcony, and it is also produced in smaller sizes to fit the Fairlane and Falcon sedans. Its construction is of plywood and sheet metal and it weighs about 500 pounds unloaded. We would recommend helper springs or other beefing up of the suspension system to be used with this unit. Lowered for travel, the Car Cabin is four feet higher than the car. When raised, canvas curtains with fly screens are buttoned into place. It is supported by roof gutter and rear bumper brackets which hold the cabin away from car body panels. It includes a butane stove, running water, cabinets, ice box, a 12 volt electrical system, and a double bed which can be supplemented by folding bunks. 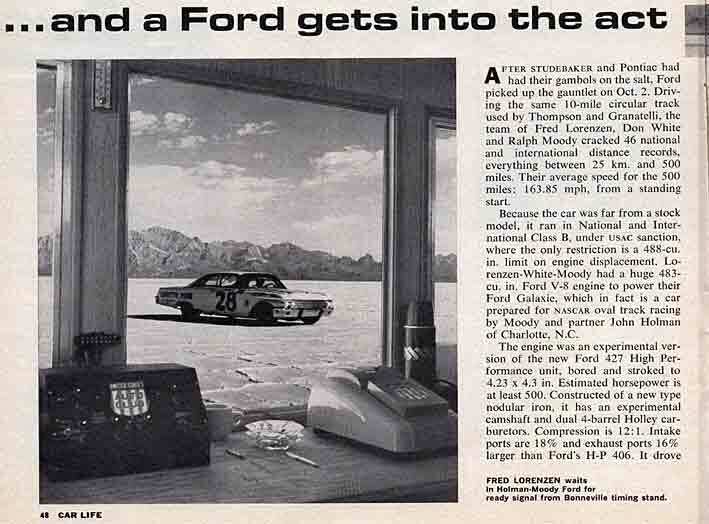 From the May 1962 Ford Times Magazine. This drawing is of a 1962 Galaxie Sunliner is equipped with a bolt-on hardtop called the Starlift. It is styled after the '60 and '61 Starliner roof line. The idea was an attempt to improve the '62 Galaxie's rather poor aerodynamics for NASCAR racing. 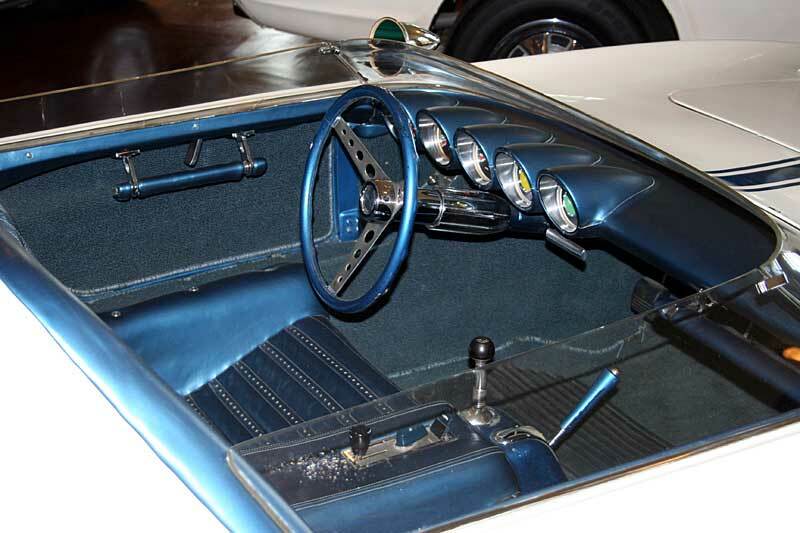 Although the wide rear post and steep angle of the rear window gave the Galaxie "boxtop" a pleasing appearance, the aerodynamics of the design made the car very difficult to handle at NASCAR circuit speeds approaching or exceeding 150 MPH. On June 10, in a torrential downpour that caused the race to be canceled after 328 of the 500 miles, Fred Lorenzen won the 1962 Atlanta 500 in a Galaxie that was crudely outfitted with a starlift top. The first place purse was $15,000. The day before the race, NASCAR Chief Inspector Norris Friel and NASCAR President Bill France banned the Starlift cars from further competition until it could be demonstrated that the tops were indeed available in a new model from Ford. He allowed both cars in the Atlanta 500 because Lorenzen and fellow Holman/Moody driver Nelson Stacy had no other cars to drive. When the race was stopped because of the downpour, Lorenzen was ahead of Pontiac driver and 2nd place finisher Banjo Mathews by well over 100 yards. It is very interesting that these cars were allowed in the '62 Atlanta 500, but were essentially illegal for future NASCAR races. 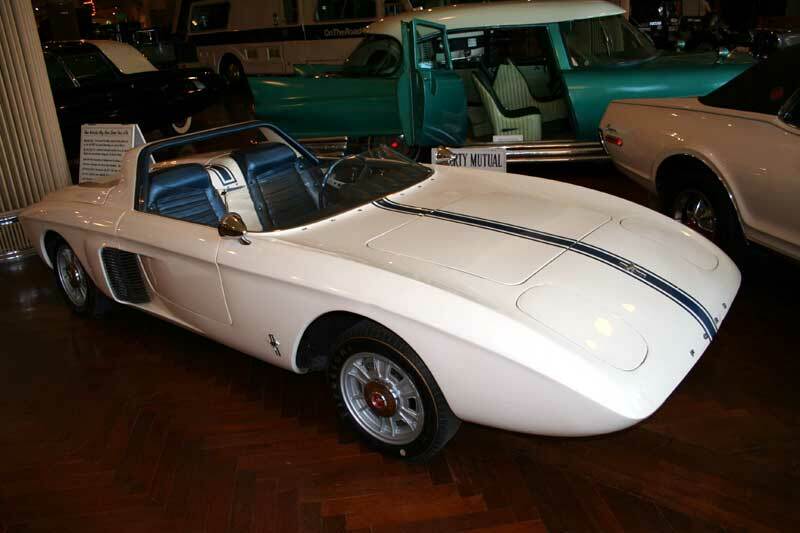 Although there are urban myths that several of these Starlift cars were built by Ford, and were on display at some Dealership showrooms, no solid proof or photos have been, as yet, found. 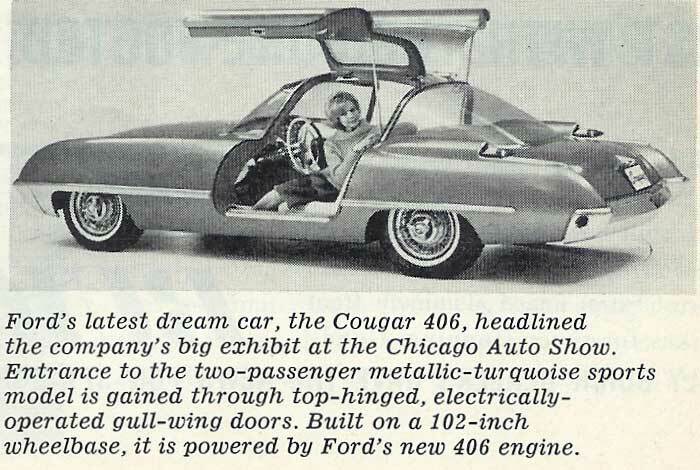 Jim Holmes sent in an article from the January 1963 Car Life Magazine. 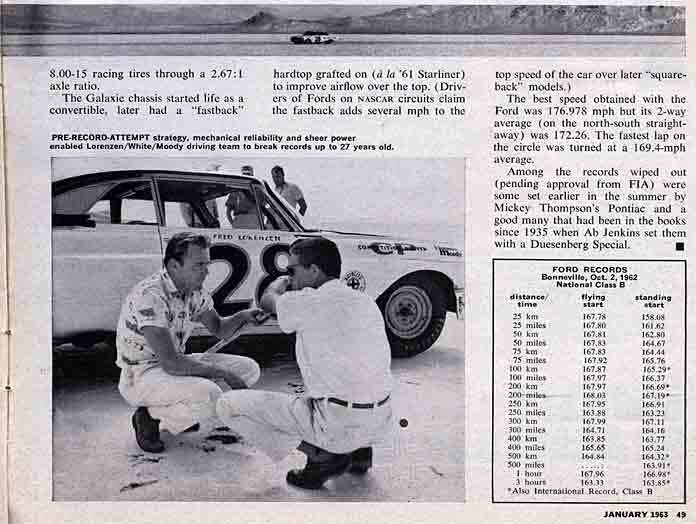 The article discusses the team of Fred Lorenzen, Don White and Ralph Moody breaking 46 national and international speed records at the Bonneville Salt Flats on October 2, 1962. The car is a 1962 Galaxie convertible with the roof of a 1961 Starliner attached. Note the filler used to take up the open area where the convertible rear quarter window did not match the Starlift roof line. The Atlanta 500 Starlift cars had the same window filler and this may have been one of them. This car was powered by an experimental version of the new 427. It was punched out to a huge 483 cubic inches and was estimated to have at least 500 horsepower. 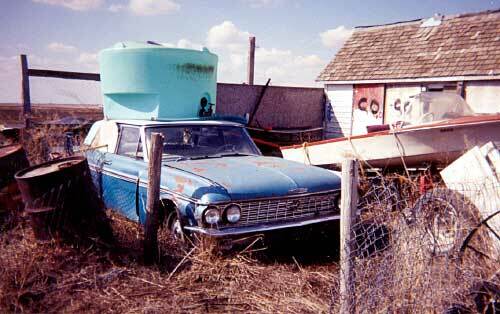 Submitted by Kevin Kalin of Saskatchewan Canada (See Registry entry number 57) this Galaxie 500 4 door sedan sports the very rare Fertilizer Tank owner installed option and was used as a "field car" to fertilizer a garden area. The car data plate info is not available but according to Kevin it had a 352 2V with automatic transmission. Kevin had it as a parts car for a short time. "Wrong" you say! "The first Ford Mustang was the 1964 1/2." Well, in addition to being the first year of the Galaxie 500/XL and the mighty 406 cubic inch engine, 1962 was also the first year of the Mustang. A small two seater with the engine behind the driver. 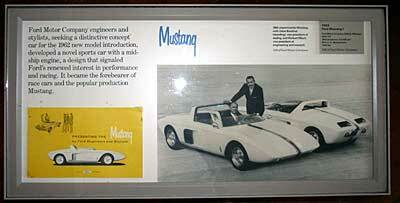 Granted, it was a prototype or concept car but never-the-less, it was a "1962 Ford Mustang." The one pictured is well cared for in The Henry Ford Museum in Dearborn, Michigan. Powered by the new 406 this cat could have Impalas for lunch on a daily basis. 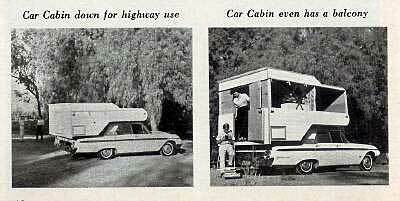 From the May 1962 issue of MOTOR TREND Magazine. The car is built on a 102 inch wheel base, is 180 inches long and only 49.5 inches high. Lee Iacocca said of it..."Although we have no current plans for production of this car, it is more down-to-earth than a dream car. American in style and comfort, it has a distinct flavor of the European sports car. The Ford Cougar 406 adds up to plush excitement on wheels."